Reser’s Fine Foods of Beaverton, Ore., is recalling 529 cases of 16-oz. 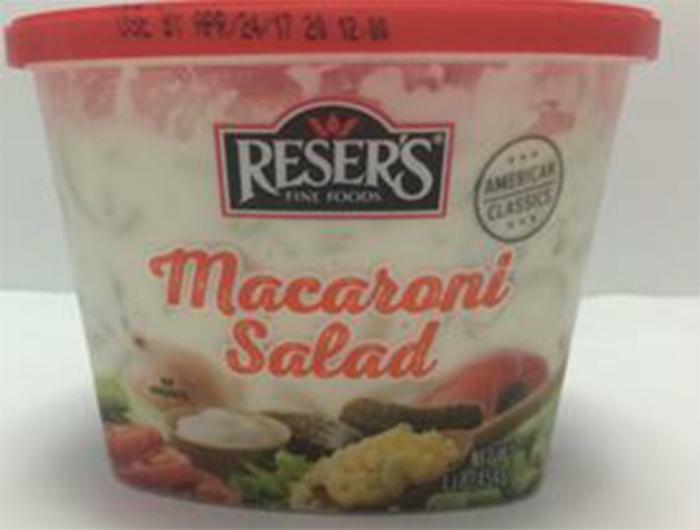 Reser’s Macaroni Salad. The product contains milk and soy, allergens not declared on the label. There are no reports of illness or injury to date. The recalled product was sold to grocery retailers and distributors in Alabama, Colorado, Georgia, Kansas, Louisiana, Maryland, Missouri, Mississippi, New York, Oklahoma, Pennsylvania, Texas and Wisconsin. Customers who purchased the recalled product and have a milk or soy sensitivity or allergy should destroy the product or return it to the store where purchased for a full refund. Consumers with questions may call the Reser’s toll-free hotline at 888-257-7913 between 8am and 5pm (EST).